What If I File For Bankruptcy, But I Forgot To Include A Debt That I Owe? This is nothing to panic about. You can always add a creditor later. Of course, getting everyone thrown in the first time is the easier way of going about things. But the court recognizes that you may end up forgetting a debt that will need to be included at a later time. The fundamental idea behind the filing of a bankruptcy is disclosure: you are expected to let the court and Trustee know everything about your particular situation. That would include (but is not limited to) a disclosure of all items that you own, whether it is in the form of personal property (like furniture, appliances, clothes, or even bank accounts) or real property (like a house, rental property, or even a time share in Florida). These disclosures let the court and Trustee know what types of things you own that may have equity or substantial value (and therefore subject to liquidation). The court will also want to know what sort of household income you have, whether those sources of income come from your place of employment, Social Security, unemployment benefits, or even from a small business that you run part time out of your basement (because this information will largely determine which chapter of bankruptcy you qualify for). And the court will also expect you to disclose all of your creditors, whether those creditors are in the form of a credit card at your favorite department store, a medical bill from your family doctor, or even debts owed to friends and family. These creditors (whether they are secured or unsecured) have an absolute right to be notified of your bankruptcy filing so that they may do a number of things (like file a Proof of Claim detailing the specifics of your debt, ask for notification of any hearings that may take place in regards to the outcome of your discharge, and the ability to challenge the dischargeability of the debt). Unless the creditors receive this type of notification, they are thought to have no idea of the fact that your debt to them is subject to discharge by the bankruptcy court. So even if you initially forget to include any one creditor in your bankruptcy petition, you can still add them later (and in fact, you have a duty to do so). There is of course a small fee to include the new creditors (currently set a $30), but that is a small price to pay when the debt you forgot to include is $5,000. 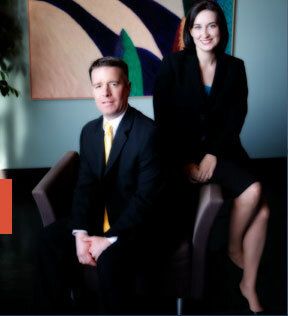 The affordable St. Louis bankruptcy attorneys at Brinkman & Alter, LLC have been getting rid of unsecured debts for years. Our philosophy is to provide expert bankruptcy legal services so that you can get back on the road towards financial freedom. This is done primarily by getting the fresh start / clean slate that comes when you file for a Missouri bankruptcy. Whether it is a St. Louis Chapter 7 bankruptcy, or a St. Louis Chapter 13 bankruptcy, our staff is prepared to guide you through the process from start to finish.